‘Sundarban’ literally means ‘the beautiful forest’. The geographical features and the natural enigma of the place justify the name. It is situated in the deltaic region of India and Bangladesh where the mighty Ganges falls into the Bay of Bengal. The delta is covered in rich mangrove vegetation and Sundri trees are abundant. Sundarban is not only a Tiger Reserve but also a National Park and a Biosphere Reserve. 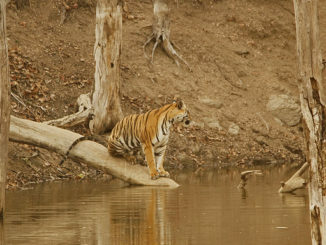 The place is popular for mighty Bengal Tigers. Tiger lovers from all across the globe flock Sundarbans to catch glimpses of the majestic royal beast. 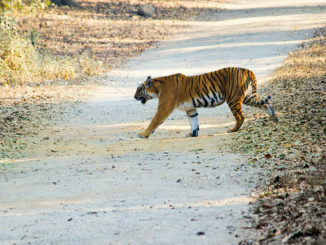 It is one of the largest homes of Bengal Tigers. Sundarban National Park was conferred with the honor of being a World Heritage Site by UNESCO in 1987. The total area spreads over about 10,000 sq. km, out of which 4,624 sq. km is in India. It lies between 30o 24’ – 30o 28’ N latitude and between 77o 40’ – 77o 44’ E longitude in the state of West Bengal. 7.5 m is the average altitude of the park that consists of 54 small islands. These islands are crisscrossed by numerous tributaries of River Ganges. It is the spot of largest estuarine mangrove forest in the whole wide world. The climate of the place is as volatile as can be expected from a coastal area. The average temperature ranges from 20o C to 48o C. The reserve receives plenty of rainfall in form of heavy downpour. The place is marked with high humidity throughout the year, courtesy proximity to the Bay of Bengal. The humidity content may reach as high as 80%. June-September is the monsoon season. The land of Sundarbans functioned as a shelter for refugees in the 13th century. Today, it is a World Heritage Center standing atop the largest delta in the world. The delta is formed where the three rivers –the Ganges, the Brahmaputra and the Meghana merge before diving into the Bay of Bengal. The place has been known as Sundarban Tiger Reserve since 1973. Then, it was part of the 24 Paraganas division. 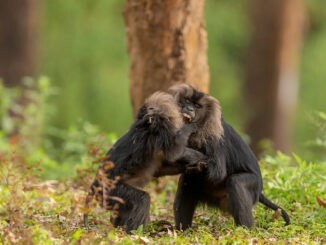 It became a wildlife sanctuary in 1977 and was declared a National Park on May 4, 1984. 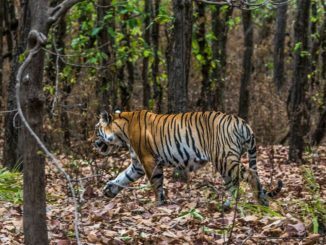 Assessing the suitability of these forests for inhabiting tiger, a scientific research project for ‘tiger conservation’ was launched here in 2004. 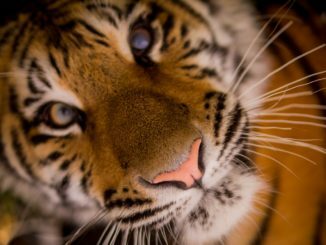 The initial phases of research were supported by generous donations from Save the Tiger Fund and the United States Fish and Wildlife Service. 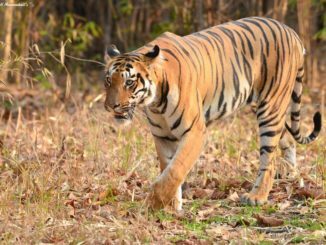 This research has proved to be a major turn around in tiger conservation. 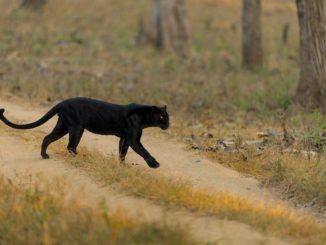 According to estimations, there are more than 400 Royal Bengal tigers in Sundarbans today. 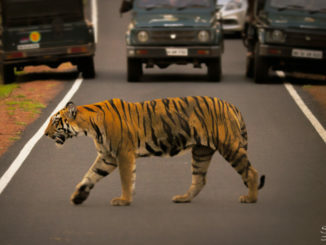 Fresh stats are to arrive soon at the end of the Tiger Census presently going on in the country. 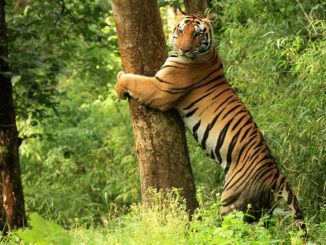 Fauna: The Royal Bengal Tigers are reserve’s pride. These denizens have developed swimming skills over time. You can easily spot some of these gliding across the saline waters. There are also Leopard Cats, Wild Boar, Indian Grey Mongoose, Jungle Cat, Chital etc. 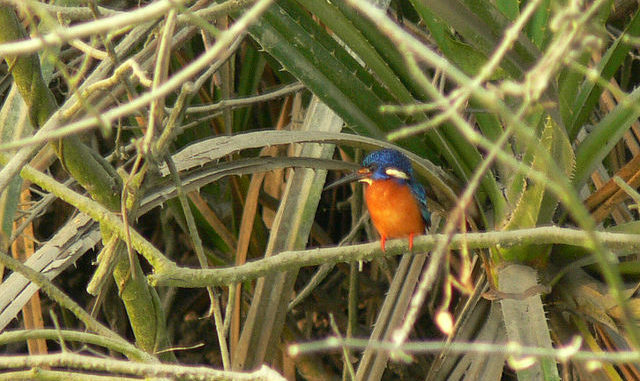 Avifauna: The complex geological and hydrological character of Sundarbans attracts the multitude of bird varieties. You can spot openbill storks, brahminey kite, cotton teals, gray herons, red junglefowl, green pigeons etc. Aquatic Fauna: The snaking water channels of Sundarbans are home to the multiferous variety of aquatic life. Sawfish, electric ray, skipping frog, tree frogs, Ganges River Dolphins, Chinese White Dolphins are some of the occupants. Reptiles: The estuarine ecosystem ensures the presence of different types of reptiles. Estuarine Crocodiles are most popular here. Chameleons, Monitor lizards, turtles, Python, King Cobra, dog-faced water snake are also found. Flora: The mangrove cover of Sundarbans consists of 64 different varieties of plant life. These are plant species that can withstand the estuarine condition and saline showers that are frequent phenomena here due to tidal effects. Flaming red leaves of Genwa, crab like red flowers of Kankra and yellow flowers of Khalsi beautify the vegetation cover. Dhundal, Passur, Garjan, Sundri and Goran are some abundantly spotted trees. At Sundarban National Park, safari experience is incomparable to any other safari. The obvious reason being its unique geographical features. The other, nonobvious reason is that you don’t get to avail a Jeep safari at Sundarbans. You get something better. Guess what? A boat safari. You can sail through the dense forest across the many river channels that make up Sundarbans islands. The boats can be AC or Non-AC, large or small hired for longer or shorter sailing journeys. You can practically customize your safari experience here. The boat service is available from early morning 8.30 AM to the approaching dawn of 4.00 PM. In case you can’t get enough of all the ‘sundartaa’ (beauty) of Sundarbans in a day, you can book the boats for up to a week. 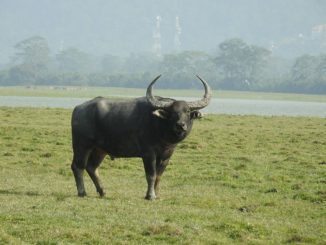 Sajnekhali: This place is popular for its bird sanctuary. You can also climb atop the Sanekhali watchtower to catch glimpses of Royal Bengal Tigers and other animals. Bhagbatpur Crocodile Project: It is a crocodile breeding farm in Bhgbatpur area. It can be easily accessed from Namkhanaand – the hatchery of largest estuarine crocodiles. Piyali Island: Located 72 KMs from Kolkata, Piyali is the gateway to Sundarbans. The Piyali River flows through the island and adds charm to its natural beauty. Here, you can enjoy nature’s walk, boat rides and bird watching. 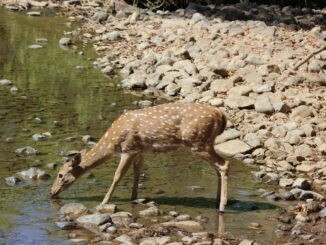 Halliday Island: It is the most suitable location to spot a barking deer. This location in the south zone of Sundarbans is flocked by their herd often. The Indian side of the Sundarbans lies in close proximity to Kolkata. Kolkata is a metro city and capital of West Bengal. Hence, adequate transportation through road, rail and air means is available to connect you to rest of India as well as the world. Kolkata has its own international airport and a much-frequented railway head.